SafeTALK helps all members of the community identify persons with thoughts of suicide and connect them to suicide intervention resources. People attending this workshop need no previous experience or training in order to become more ready, willing and able to be suicide prevention helpers. 15 years of age and older. Proudly sponsored by the proceeds from the Mitchell Snider Golf Tournament. Space is limited to 30 spots. 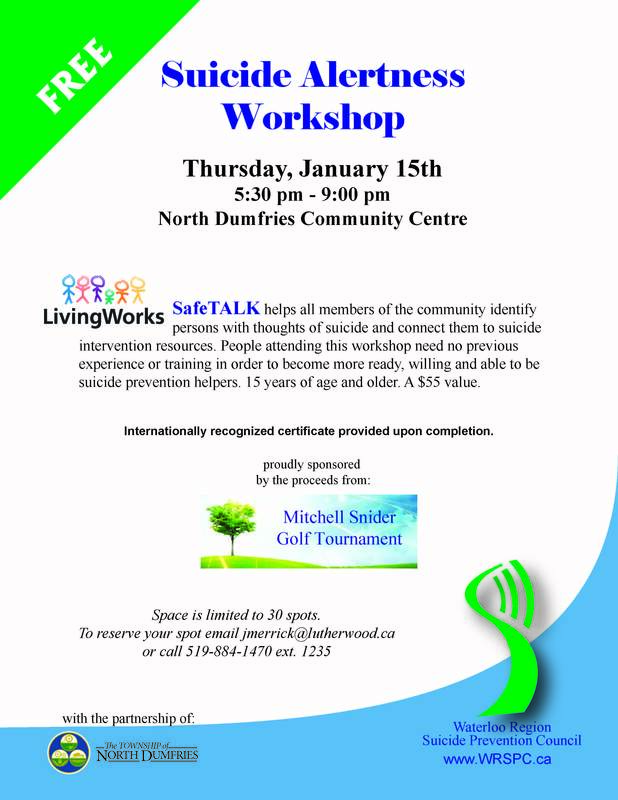 To reserve your spot email jmerrick@lutherwood.ca or call 519-884-1470 ext. 1235.